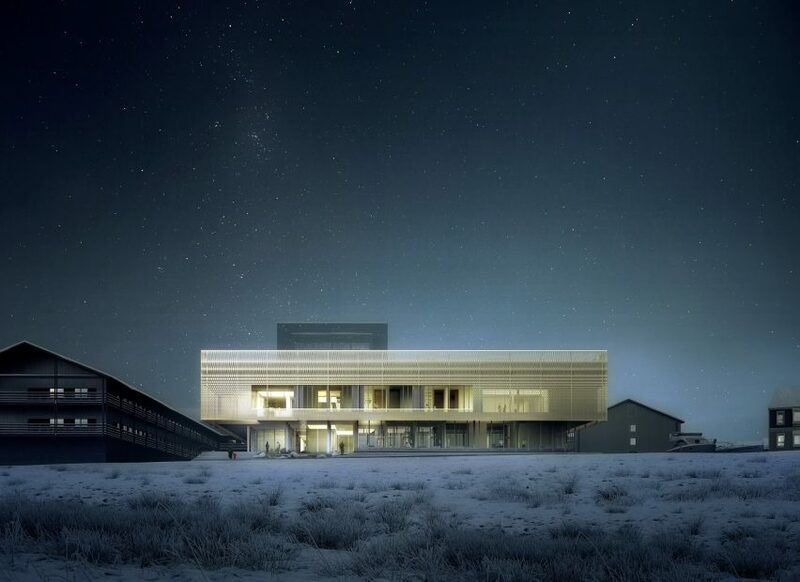 Scandinavian architecture firm White Arkitekter has unveiled plans to build a pale yellow psychiatric clinic in Nuuk, Greenland, which will frame views of the surrounding arctic landscape. The construction of the clinic was proposed by the leading committee of Greenland’s health care department, who approached White Arkitekter to create a space that “strikes the perfect balance between a calm, healing, and trustworthy atmosphere”. It will be situated just a short distance from the capital’s centre, sat beside the main entrance of the existing Dronning Ingrid hospital. 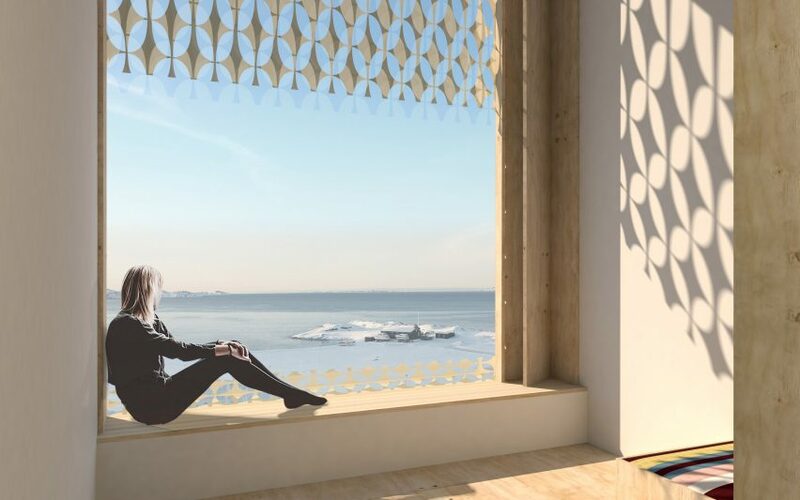 The 3,300-square-metre building will also overlook a Greenlandic fjord, providing views of the country’s icy waters and snowy cliff peaks. Renderings reveal that the clinic will be composed of two stacked rectilinear volumes and have a perforated yellow facade, in keeping with other hospitals in the area that are traditionally painted the same shade. The structure will also be relatively low in height, in order to blend in amongst the small-scale buildings throughout Nuuk. “The architecture [of the clinic] cuts an instantly recognisable figure from both near and afar,” the firm explained in a statement. 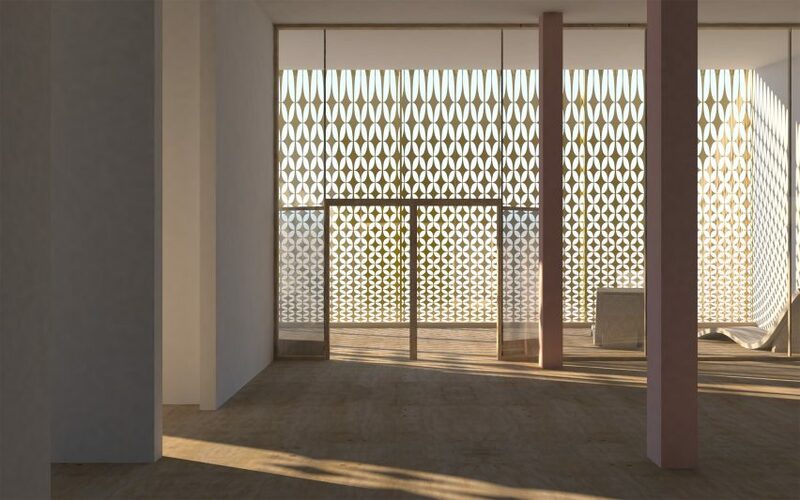 The clinic’s ground floor will be fronted by large panels of glazing to maximise visual connection to the landscape beyond. Outdoors, there will be gym, and a covered courtyard where visitors can sit and relax. 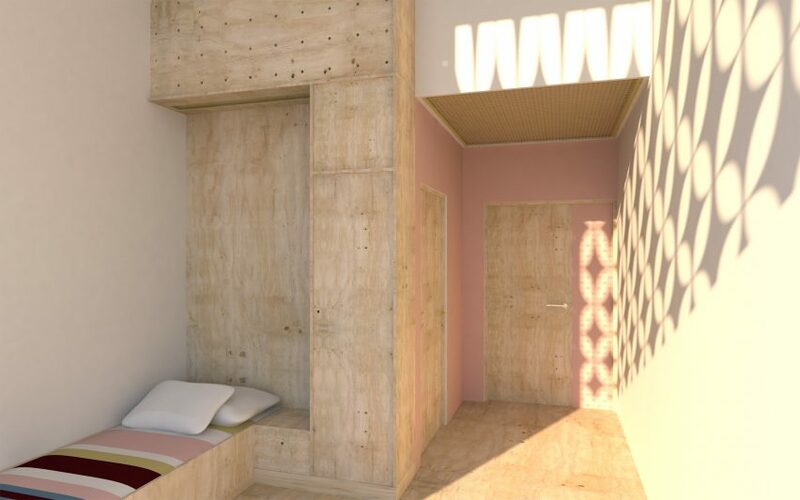 Private rooms will be crafted from warm-hued timber and feature tall windows, ensuring that patients are surrounded by ample natural light. They will also be able to spend time in the clinic’s greenery-filled atrium. Despite its remote location and population of just 57,700, Greenland is slowly seeing a change in its architecture and design scenes. In 2016 Danish studio Dorte Mandrup Arkitekter revealed plans to erect a climate research and visitors centre in the country, which upon completion will feature a rooftop platform for observing icebergs. Three years ago Dezeen also spoke to the country’s first product designer, Liss Stender, who made national news when she created a line of graphic fabrics and crockery. Be the first to comment on "White Arkitekter to create psychiatric clinic in Greenland"
UCS Module is a global, multi-platform media and entertainment company. Powered by its own proprietary technology, UCS Module is the go-to source for tech, digital culture and entertainment content for its dedicated and influential audience around the globe.